In accordance with Regulation (EC) No 1082/2006 of the European Parliament and of the Council (3), the Commission adopted on 29 July 2011 a report for the European Parliament and the Council on the application of that Regulation. In that report, the Commission announced its intention to propose a limited number of modifications to Regulation (EC) No 1082/2006 to facilitate the establishment and operation of EGTCs, as well as to propose clarification of certain existing provisions. Obstacles to establishing new EGTCs should be removed while maintaining continuity in, and facilitating the operation of, existing ones, thus allowing more extensive use of EGTCs to contribute to better policy coherence and cooperation between public bodies without creating an additional burden on national or Union administrations. The establishment of an EGTC is a matter to be decided by its members and their national authorities, and is not automatically linked with any legal or financial advantages at Union level. The Treaty of Lisbon added a territorial dimension to Cohesion Policy and 'Community' was replaced by 'Union'. The new terminology should therefore be introduced into Regulation (EC) No 1082/2006. EGTCs can have the potential to enhance the promotion and achievement of the harmonious development of the Union as a whole and the economic, social and territorial cohesion of its regions, in particular, and to contribute to meeting the objectives of the Europe 2020 strategy for smart, sustainable and inclusive growth (‘Europe 2020 strategy’). EGTCs can also contribute positively to reducing barriers to territorial cooperation between regions which suffer from severe and permanent natural or demographic handicaps, including the specific situation of outermost regions, and can be instrumental in strengthening the cooperation between third countries, overseas countries and territories (‘OCTs’) and Union border regions, including through the use of Union external cooperation programmes. Experience with EGTCs established so far shows that, as a legal instrument, EGTCs are also being used for cooperation in the context of Union policies other than Cohesion Policy, including by implementing programmes or parts of programmes with Union financial support other than that under Cohesion Policy. The efficiency and effectiveness of EGTCs should be enhanced by broadening the nature of EGTCs, removing persistent barriers and facilitating the establishment and operation of EGTCs while maintaining the Member States' ability to limit the actions that EGTCs are able to carry out without Union financial support. Under Regulation (EC) No 1082/2006 EGTCs have in each Member State the most extensive legal capacity accorded to legal persons under that Member State's national law, including the possibility of concluding agreements with other EGTCs, or other legal entities, for the purposes of carrying out joint cooperation projects to, inter alia, provide for more efficient operation of macro-regional strategies. By definition, EGTCs operate in more than one Member State. Consequently, Regulation (EC) No 1082/2006 provides for the possibility for the EGTC's convention and statutes to state the applicable law on certain issues. The cases in which such statements are to give priority, within the hierarchy of applicable law laid down in that Regulation, to the national law of the Member State where the EGTC has its registered office should be clarified. At the same time, the provisions of Regulation (EC) No 1082/2006 on applicable law should be extended to the acts and activities of an EGTC that are subject to legal scrutiny by Member States in each individual case. As a result of the differing status of local and regional bodies in Member States, competences that are regional on one side of a border can be national on the other, especially in smaller or centralised Member States. Consequently, national authorities should be able to become members of an EGTC alongside the Member State. While Regulation (EC) No 1082/2006 allows for bodies established under private law to become members of an EGTC provided that they are considered as being bodies governed by public law as defined in Directive 2004/18/EC of the European Parliament and of the Council (4), it should be possible to use EGTCs in the future to jointly manage public services with a particular focus on services of general economic interest or on infrastructure. Other private or public law actors should also be able, therefore, to become members of an EGTC. Consequently, 'public undertakings' as defined in Directive 2004/17/EC of the European Parliament and of the Council (5), and undertakings entrusted with the operation of services of general economic interest, in fields such as education and training, medical care, social needs in relation to health care and longterm care, childcare, access to, and reintegration into, the labour market, social housing and the care and social inclusion of vulnerable groups, should be covered as well. Regulation (EC) No 1082/2006 does not contain detailed rules concerning the participation of entities from third countries in an EGTC formed in accordance with that Regulation, i.e. between members from at least two Member States. Given the further alignment of the rules governing the cooperation between one or more Member States and one or more third countries, predominantly in the context of cross-border cooperation under the European Neighbourhood Instrument (ENI) and the Instrument for Pre-accession Assistance (IPA II), but also in the context of complementary financing from the European Development Fund, and of transnational cooperation under the European territorial cooperation goal, where allocations from the ENI and the IPA II are to be transferred in order to pool such allocations with allocations from the European Regional Development Fund (ERDF) under joint cooperation programmes, the participation of members from third countries neighbouring a Member State, including its outermost regions, in EGTCs established between at least two Member States should be explicitly provided for. This should be possible where the legislation of a third country, or agreements between at least one participating Member State and a third country, so allows. In order to strengthen the Union's economic, social and territorial cohesion and therefore to reinforce, in particular, the effectiveness of territorial cooperation, including one or more of the cross-border, transnational and interregional strands of cooperation, between members of an EGTC, the participation of third countries neighbouring a Member State, including its outermost regions, should be allowed in an EGTC. Operations under European territorial cooperation programmes, where co-financed by the Union, should therefore continue to pursue Union Cohesion Policy objectives, even if they are implemented, partly or in their entirety, outside the territory of the Union, and, as a consequence, the activities of an EGTC are also carried out at least to some extent outside the territory of the Union. In this context, and where relevant, the contribution by the activities of an EGTC that also has members from third countries neighbouring at least one Member State, including its outermost regions, to the objectives of Union external action policies, such as development cooperation or economic, financial and technical cooperation objectives, remains merely incidental, as the centre of gravity of the cooperation programmes concerned and consequently the activities of that EGTC should focus primarily on Union Cohesion Policy objectives.Consequently any development cooperation or economic, financial and technical cooperation objectives between only one Member State, including its outermost regions, and one or more third countries are only ancillary to the cohesion policy-based territorial cooperation objectives between Member States, including their outermost regions. Therefore, the third paragraph of Article 175 of the Treaty on the Functioning of the European Union (TFEU) is a sufficient legal basis for the adoption of this Regulation. Following the authorisation for participation of national, regional, sub-regional and local authorities and organisations, as well as, where appropriate, other public bodies or institutions, including public service providers, from an OCT in an EGTC, based on Council Decision 2013/755/EU (6) and taking into account that, in the case of the 2014-2020 programming period, a special additional financial allocation under the multiannual financial framework is to reinforce the cooperation of the outermost regions of the Union with neighbouring third countries and some of the OCTs listed in Annex II to the TFEU and neighbouring those outermost regions, EGTCs, as a legal instrument, should also be opened up to members from OCTs. For the sake of legal certainty and transparency special approval procedures for the accession of members from an OCT to an EGTC should be established including in this regard, where necessary, special rules on the law applicable to the relevant EGTC with members from an OCT.
Regulation (EC) No 1082/2006 distinguishes between the convention laying down the constitutive elements of the future EGTC and the statutes setting out the implementation elements. However, under that Regulation the statutes currently have to contain all the provisions of the convention. Although both the convention and the statutes are to be sent to Member States, they are distinct documents, and the approval procedure should be limited to the convention. In addition, some elements presently covered by the statutes should be covered by the convention instead. Experience gained from establishing EGTCs shows that the three-month period for the Member States' approval procedure has rarely been respected. That period should therefore be extended to six months. On the other hand, in order to ensure legal certainty after that period, the convention should be deemed to be approved by tacit agreement, where applicable, in accordance with the national law of the Member States concerned, including their respective constitutional requirements. However, the Member State where the proposed registered office of the EGTC is to be located should have to formally approve the convention. 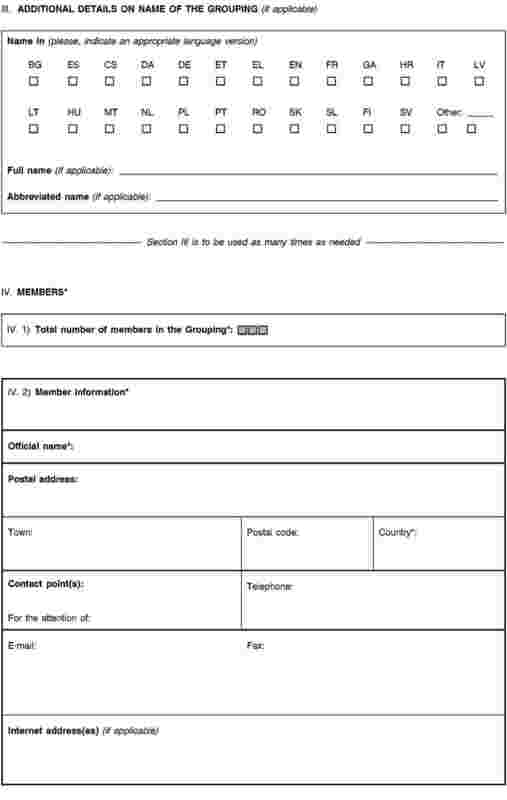 While Member States should be able to apply national rules on the procedure for approval of a prospective member's participation in the EGTC or to create specific rules in the framework of the national rules implementing Regulation (EC) No 1082/2006, derogations to the provision concerning tacit agreement after the six-month period should be precluded, except as provided for in this Regulation. The grounds for a Member State not approving a prospective member's participation or the convention should be set out. However, any national law requiring other rules and procedures than those provided for in Regulation (EC) No 1082/2006 should not be taken into account when deciding on that approval. As Regulation (EC) No 1082/2006 cannot apply in third countries, the Member State where the proposed registered office of the EGTC is to be located should, when approving the participation of prospective members from third countries, established under the law of those third countries, satisfy itself, in consultation with those Member States under whose laws other prospective members of the EGTC have been established, that the third countries have applied equivalent conditions and procedures to those laid down in Regulation (EC) No 1082/2006 or acted in accordance with international bilateral or multilateral agreements concluded between Member States of the Council of Europe, whether or not they are also Member States of the Union, based on the European Outline Convention on Transfrontier Co-operation between Territorial Communities or Authorities, signed in Madrid on 21 May 1980, and the additional Protocols adopted pursuant thereto. In the case of the involvement of several Member States of the Union and one or more third countries, it should be sufficient that such an agreement has been concluded between the respective third country and one participating Member State of the Union. In order to encourage the accession of new members to an existing EGTC, the procedure to amend conventions in such cases should be simplified. Consequently, such amendments should, in the case of a new member from a Member State that has already approved the convention, not be notified to all participating Member States, but only to the Member State under whose laws the new prospective member is established and the Member State where the EGTC has its registered office. Any subsequent amendment of the convention should be notified to all Member States concerned. However, such simplification of the amending procedure should not apply in the case of a new prospective member from a Member State that has not already approved the convention, a third country, or an OCT, because it is necessary to enable all participating Member States to check whether such accession is in line with its public interest or public policy. Given the links between Member States and OCTs, the procedures for approval of participation of prospective members from OCTs should involve those Member States. 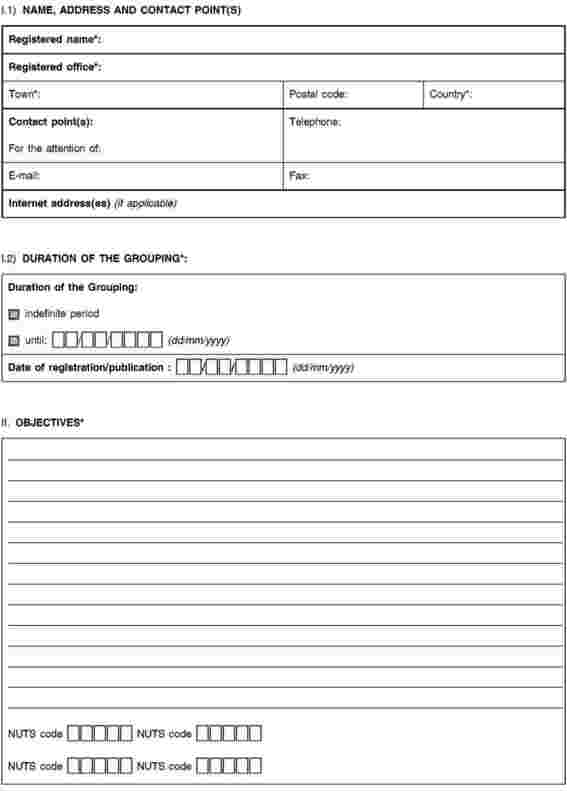 In accordance with the specific governance relationship between the Member State and the OCT, the Member State should either approve the participation of the prospective member from the OCT or provide written confirmation to the Member State, where the proposed registered office of the EGTC is to be located, that the competent authorities in the OCT have approved the prospective member's participation in accordance with equivalent conditions and procedures to those laid down in Regulation (EC) No 1082/2006. The same procedure should apply in the case of a prospective member from an OCT that wishes to join an existing EGTC. As the statutes are no longer to contain all the provisions of the convention, both the convention and statutes should be registered or published, or both. In addition, for reasons of transparency, a notice concerning the decision establishing an EGTC should be published in the C series of the Official Journal of the European Union. In the interests of consistency, that notice should contain the details set out in the Annex to Regulation (EC) No 1082/2006 as amended by this Regulation. The purpose of an EGTC should be extended to cover the facilitation and promotion of territorial cooperation in general, including strategic planning and the management of regional and local concerns in line with Cohesion Policy and other Union policies, thus contributing to the Europe 2020 strategy or to the implementation of macro-regional strategies. An EGTC should therefore be able to implement operations with financial support other than that provided by Union Cohesion Policy. In addition, every member in each of the Member States or third countries represented should be required to have each competence needed for the efficient functioning of an EGTC unless the Member State or third country approves the participation of a member established under its national law even where that member is not competent for all the tasks specified in the convention. As a legal instrument, EGTCs are not intended to circumvent the framework provided by the Council of Europe acquis offering different opportunities and frameworks within which regional and local authorities can cooperate across borders including the recent Euroregional Co-operation Groupings (7), or to provide a set of specific common rules which would uniformly govern all such arrangements throughout the Union. Both the specific tasks of an EGTC and the possibility for Member States to limit the actions that EGTCs can carry out without financial support from the Union should be aligned with the provisions governing the ERDF, the European Social Fund and the Cohesion Fund during the 2014-2020 programming period. While it is laid down in Regulation (EC) No 1082/2006 that the tasks of an EGTC do not concern, among others, 'regulatory powers', which can have different legal consequences in different Member States, nevertheless an EGTC's assembly should be able to define, if the convention specifically so provides, and, in compliance with Union and national law, the terms and conditions of the use of an item of infrastructure the EGTC is managing, or the terms and conditions subject to which a service of general economic interest can be provided, including the tariffs and fees to be paid by the users. As a consequence of the opening up of EGTCs to members from third countries or OCTs, the convention should specify the arrangements for their involvement. The convention should, in addition to including a reference to the applicable law in general as laid down in Article 2 of Regulation (EC) No 1082/2006, also list the Union and national law applicable to the EGTC. In addition, it should be possible for that national law to be the law of the Member State where the organs of the EGTC exercise their powers, in particular in the case of staff that work under the responsibility of the director and are located in a Member State other than the Member State where the EGTCs has its registered office. The convention should also list the applicable Union and national law directly relevant to the EGTC's activities carried out under the tasks specified in the convention, including where the EGTC is managing public services of general interest or infrastructure. This Regulation should not cover problems linked to cross-border procurement encountered by EGTCs. Given the importance of the rules applicable to staff of EGTCs and of the principles governing the arrangements concerning personnel management and recruitment procedures, the convention, not the statutes, should specify those rules and principles. It should be possible for different options as to the choice of rules applicable to staff of EGTCs to be laid down in the convention. The specific arrangements concerning personnel management and recruitment procedures should be addressed in the statutes. Member States should further make use of the possibilities provided for under Regulation (EC) No 883/2004 of the European Parliament and of the Council (8) to allow by common agreement for exceptions with regard to the determination of the legislation applicable under that Regulation, in the interests of certain persons or categories of persons, and to consider the staff of EGTCs as being such a category of persons. Given the importance of the arrangements relating to members' liability, the convention, not the statutes, should specify those arrangements. Where an EGTC has as its exclusive objective the management of a cooperation programme, or part thereof, supported by the ERDF, or where an EGTC concerns interregional cooperation or networks, information concerning the territory in which the EGTC is able to execute its task should not be required. In the former case, the extent of the territory should be defined and, where appropriate, changed in the relevant cooperation programme. In the latter case, while primarily concerning immaterial activities, the requirement for such information would jeopardise the accession of new members to interregional cooperation or networks. The different arrangements relating to the control of management of public funds on the one hand and of the audit of the EGTC's accounts on the other hand should be clarified. EGTCs whose members have limited liability should be more clearly distinguished from those whose members have unlimited liability. In addition, in order to enable EGTCs whose members have limited liability to implement activities which could potentially generate debts, Member States should be allowed to require that such EGTCs take out appropriate insurance or that such EGTCs be subject to an appropriate financial guarantee to cover the risks specific to the activities thereof. Member States should submit to the Commission any provisions, as well as any amendments thereto, adopted to implement Regulation (EC) No 1082/2006. In order to improve the exchange of information and coordination between the Member States, the Commission and the Committee of the Regions, the Commission should transmit such provisions to the Member States and to the Committee of the Regions. The Committee of the Regions has set up an EGTC platform enabling all stakeholders to exchange their experiences and good practices and to improve communication on EGTC opportunities and challenges by facilitating the exchange of experience on the establishment of EGTCs at territorial level and sharing knowledge of best practices with regard to territorial cooperation. A new deadline for the report on the application of Regulation (EC) No 1082/2006 should be fixed. In accordance with the Commission's move towards more evidence-based policy-making, that report should address the main evaluation questions including effectiveness, efficiency, relevance, European added value, scope for simplification and sustainability. Effectiveness should be understood as relating, inter alia, to the nature of the attempts inside the different Commission services and between the Commission and other bodies such as the European External Action Service to disseminate knowledge about the EGTC instrument. The Comission should forward that report to the European Parliament, the Council and, pursuant to the first paragraph of Article 307 TFEU, to the Committee of the Regions. That report should be forwarded by 1 August 2018. In order to lay down a list of indicators for use in the evaluation and preparation of the report on the application of Regulation (EC) No 1082/2006, the power to adopt acts in accordance with Article 290 TFEU should be delegated to the Commission. It is of particular importance that the Commission carry out appropriate consultations during its preparatory work, including at expert level. The Commission, when preparing and drawing up delegated acts, should ensure a simultaneous, timely and appropriate transmission of relevant documents to the European Parliament and to the Council. Existing EGTCs should not be obliged to align their convention and statutes to amendments to Regulation (EC) No 1082/2006 introduced by this Regulation. It is necessary to specify under which set of rules an EGTC, for which an approval procedure was started before the date of application of this Regulation, should be approved. In order to adapt existing national rules to implement this Regulation before programmes under the European territorial cooperation goal have to be submitted to the Commission, this Regulation should start to apply six months after the date of its entry into force. 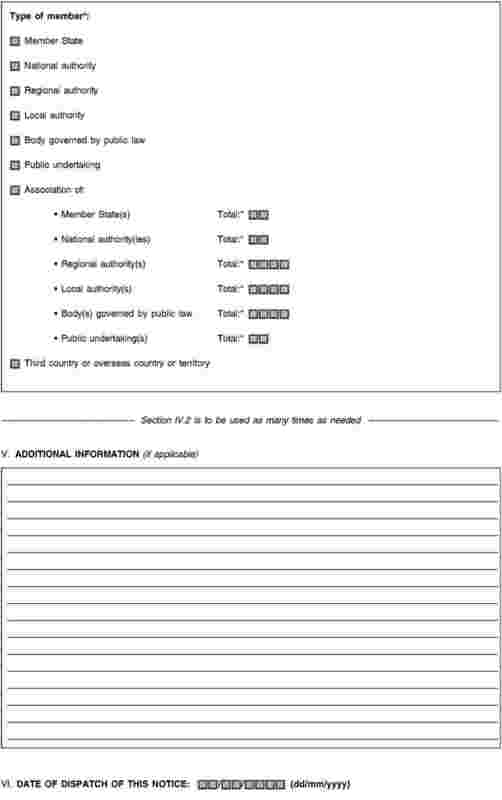 When adapting their existing national rules Member States should ensure that competent authorities responsible for approval of EGTCs are designated and that, in accordance with their legal and administrative arrangements, those authorities should be the same bodies responsible for receipt of notifications in accordance with Article 4 of Regulation (EC) No 1082/2006. Since the objective of this Regulation, namely the improvement of the EGTC legal instrument, cannot be sufficiently achieved by the Member States but can rather be better achieved at Union level, the Union may adopt measures, in accordance with the principle of subsidiarity as set out in Article 5 of the Treaty on European Union. In accordance with the principle of proportionality, as set out in that Article, this Regulation does not go beyond what is necessary in order to achieve that objective, recourse to an EGTC being optional, in accordance with the constitutional system of each Member State. '1. A European grouping of territorial cooperation (“EGTC”) may be established on Union territory under the conditions and subject to the arrangements provided for by this Regulation. in the case of matters not, or only partly, regulated under this Regulation, the national law of the Member State where the EGTC has its registered office. '1a. The activities of an EGTC relating to carrying out tasks, referred to in Article 7(2) and (3), inside the Union shall be governed by applicable Union law and national law as specified in the convention referred to in Article 8.
national, regional or local authorities, or bodies or public undertakings, equivalent to those referred to under point (d), from third countries, subject to the conditions laid down in Article 3a. (9) Directive 2004/17/EC of the European Parliament and of the Council of 31 March 2004 coordinating the procurement procedures of entities operating in the water, energy, transport and postal services sectors (OJ L 134, 30.4.2004, p. 1)." (10) Directive 2004/18/EC of the European Parliament and of the Council of 31 March 2004 on the coordination of procedures for the award of public works contracts, public supply contracts and public service contracts (OJ L 134, 30.4.2004, p. 114). ';"
1. In accordance with Article 4(3a), an EGTC may be made up of members located on the territory of at least two Member States and of one or more third countries neighbouring at least one of those Member States, including its outermost regions, where those Member States and third countries jointly carry out territorial cooperation actions or implement programmes supported by the Union. For the purposes of this Regulation, a third country or an OCT shall be considered to be neighbouring a Member State, including its outermost regions, where the third country or the OCT and that Member State share a common land border or where both the third country or OCT and the Member State are eligible under a joint maritime cross-border or transnational programme under the European territorial cooperation goal, or are eligible under another cross-border, sea-crossing or sea-basin cooperation programme, including where they are separated by international waters. 2. An EGTC may be made up of members located on the territory of only one Member State and of one or more third countries neighbouring that Member State, including its outermost regions, where the Member State concerned considers that EGTC to be consistent with the scope of its territorial cooperation in the context of cross-border or transnational cooperation or bilateral relations with the third countries concerned. 3. For the purposes of paragraphs 1 and 2, third countries neighbouring a Member State, including its outermost regions, include maritime borders between the countries concerned. 4. In accordance with Article 4a and subject to the conditions set out in paragraph 1 of this Article, an EGTC may also be made up of members located on the territory of at least two Member States, including their outermost regions, and of one or more OCTs, with or without members from one or more third countries. 5. In accordance with Article 4a and subject to the conditions set out in paragraph 2 of this Article, an EGTC may also be made up of members located on the territory of only one Member State, including its outermost regions, and of one or more OCTs, with or without members from one or more third countries. the statutes are inconsistent with the convention. In the event of non-approval, the Member State shall state its reasons for withholding approval and shall, where appropriate, suggest the necessary amendments to the convention. The Member State shall reach its decision, with regard to approval, within a period of six months from the date of receipt of a notification in accordance with paragraph 2. If the Member State which has received the notification, does not raise an objection within that period, the participation of the prospective member and the convention shall be deemed to be approved. However, the Member State where the proposed registered office of the EGTC is to be located shall formally approve the convention in order to allow the EGTC to be established. Any request for additional information from the Member State to a prospective member shall interrupt the deadline referred to in the third subparagraph. The period of interruption shall start from the day following the date on which the Member State has sent its observations to the prospective member and shall last until the prospective member has responded to the observations. However, an interruption of the deadline referred to in the third subparagraph shall not occur if the prospective member submits a reply to the observations by the Member State within ten working days of the start of the period of interruption. '5. The members shall agree on the convention referred to in Article 8 while ensuring consistency with the approval in accordance with paragraph 3 of this Article. 1. The convention and the statutes and any subsequent amendments thereto shall be registered or published, or both, in the Member State where the EGTC concerned has its registered office, in accordance with the applicable national law of that Member State. The EGTC shall acquire legal personality on the date of registration or publication of the convention and the statutes, whichever occurs first. The members shall inform the Member States concerned and the Committee of the Regions of the registration or publication of the convention and the statutes. '2. An EGTC shall act within the confines of the tasks given to it, namely the facilitation and promotion of territorial cooperation to strengthen Union economic, social and territorial cohesion, and the overcoming of internal market barriers. Each task shall be determined by its members as falling within the competence of every member, unless the Member State or third country approves the participation of a member established under its national law even where that member is not competent for all the tasks specified in the convention. 3. An EGTC may carry out specific actions of territorial cooperation between its members in pursuit of the objective referred to in Article 1(2), with or without financial support from the Union. Primarily, the tasks of an EGTC may concern the implementation of cooperation programmes, or parts thereof, or the implementation of operations supported by the Union through the European Regional Development Fund, the European Social Fund and/or the Cohesion Fund. Member States may limit the tasks that EGTCs may carry out without financial support from the Union. However, without prejudice to Article 13, Member States shall not exclude tasks concerning the investment priorities referred to in Article 7 of Regulation (EU) No 1299/2013 (11) of the European Parliament and of the Council. (11) Regulation (EU) No 1299/2013 of the European Parliament and of the Council of 17 December 2013 on specific provisions for the support from the European Regional Development Fund to the European territorial cooperation goal (OJ L 347, 20.12.2013, p. 259). ';"
the procedures for adoption of the statutes and amendment of the convention, which shall comply with the obligations set out in Articles 4 and 5. 1. The statutes of an EGTC shall be adopted on the basis of, and in accordance with, its convention, by its members acting unanimously. '2. Without prejudice to paragraph 3, to the extent that the assets of an EGTC are insufficient to meet its liabilities, its members shall be liable for its debts irrespective of the nature of those debts, each member's share being fixed in proportion to its financial contribution. The arrangements for financial contributions shall be fixed in the statutes. The EGTC's members may provide in the statutes that they are to be liable, after they have ceased to be members of an EGTC, for obligations arising out of activities of the EGTC during their membership. 2a. If the liability of at least one member of an EGTC from a Member State is limited as a result of the national law under which it is established, the other members may also limit their liability in the convention where national law implementing this Regulation enables them to do so. The name of an EGTC whose members have limited liability shall include the word 'limited'. The requirements for the publication of the convention, statutes and accounts of an EGTC whose members have limited liability shall be at least equal to those required for other legal entities with limited liability under the laws of the Member State where that EGTC has its registered office. '1. Member States shall adopt provisions to ensure the effective application of this Regulation, including with regard to the determination of the competent authorities responsible for the approval procedure, in accordance with their legal and administrative arrangements. Where required under the terms of a Member State's national law, that Member State may establish a comprehensive list of the tasks which the members of an EGTC within the meaning of Article 3(1) established under its laws already have, as far as territorial cooperation within that Member State is concerned. By 1 August 2018 the Commission shall forward to the European Parliament, the Council and the Committee of the Regions a report on the application of this Regulation, evaluating, based on indicators, its effectiveness, efficiency, relevance, European added value and scope for simplification. 2. The power to adopt delegated acts referred to in the second paragraph of Article 17 shall be conferred on the Commission for a period of five years from 21 December 2013. 3. The delegation of power referred to in the second paragraph of Article 17 may be revoked at any time by the European Parliament or by the Council.A decision to revoke shall put an end to the delegation of the power specified in that decision. It shall take effect the day following the publication of the decision in the Official Journal of the European Union or at a later date specified therein. It shall not affect the validity of any delegated acts already in force. 5. A delegated act adopted pursuant to the second paragraph of Article 17 shall enter into force only if no objection has been expressed either by the European Parliament or the Council within a period of three months of notification of that act to the European Parliament and the Council or if, before the expiry of that period, the European Parliament and the Council have both informed the Commission that they will not object. That period shall be extended by three months at the initiative of the European Parliament or of the Council.'. 1. EGTCs established before 21 December 2013 shall not be obliged to align their convention and statutes with the provisions of Regulation (EC) No 1082/2006 as amended by this Regulation. 2. In the case of EGTCs, for which a procedure under Article 4 of Regulation (EC) No 1082/2006 was started before 22 June 2014 and for which only the registration or publication under Article 5 of Regulation (EC) No 1082/2006 is outstanding, the convention and the statutes shall be registered or published, or both, in accordance with the provisions of Regulation (EC) No 1082/2006 before its amendment by this Regulation. 3. EGTCs for which a procedure under Article 4 of Regulation (EC) No 1082/2006 was started more than six months before 22 June 2014 shall be approved in accordance with the provisions of Regulation (EC) No 1082/2006 before its amendment by this Regulation. 4. EGTCs other than those under paragraphs 2 and 3 of this Article for which a procedure under Article 4 of Regulation (EC) No 1082/2006 was started before 22 June 2014 shall be approved in accordance with the provisions of Regulation (EC) No 1082/2006 as amended by this Regulation. It shall apply from 22 June 2014. (1) OJ C 191, 29.6.2012, p. 53. (2) OJ C 113, 18.4.2012, p. 22. (3) Regulation (EC) No 1082/2006 of the European Parliament and of the Council of 5 July 2006 on a European grouping of territorial cooperation (EGTC) (OJ L 210, 31.7.2006, p. 19). (4) Directive 2004/18/EC of the European Parliament and of the Council of 31 March 2004 on the coordination of procedures for the award of public works contracts, public supply contracts and public service contracts (OJ L 134, 30.4.2004, p. 114). (5) Directive 2004/17/EC of the European Parliament and of the Council of 31 March 2004 coordinating the procurement procedures of entities operating in the water, energy, transport and postal services sectors (OJ L 134, 30.4.2004, p. 1). (6) Council Decision 2013/755/EU of 25 November 2013 on the association of the overseas countries and territories with the Union ('Overseas Association Decision') (OJ L 344 19.12.2013, p. 1). (7) Protocol No. 3 to the European Outline Convention on Transfrontier Co-operation between Territorial Communities or Authorities concerning Euroregional Co-operation Groupings (ECGs), opened for signature on 16 November 2009. (8) Regulation (EC) No 883/2004 of the European Parliament and of the Council of 29 April 2004 on the coordination of social security systems (OJ L 166, 30.4.2004, p. 1). The asterisk* denotes mandatory fields. The European Parliament, the Council and the Commission agree to undertake better coordinated efforts for awareness raising among and inside the institutions and Member States in order to improve the visibility of the possibilities to use EGTCs as an optional instrument available for territorial cooperation in all EU policy areas. In this context, the European Parliament, the Council and the Commission invite Member States in particular to undertake appropriate actions of coordination and communication among national authorities and between authorities of different Member States in order to ensure clear, efficient and transparent procedures of authorisation of new EGTCs within the time limits fixed. The European Parliament, the Council and the Commission agree that when applying Article 9(2)(i) of Regulation (EU) No 1082/2006 as amended, the Member States will endeavour, when assessing the rules to be applicable to the EGTC staff members as proposed in the draft convention, to consider the different available employment regime options to be chosen by the EGTC, be it under private or public law. Where employment contracts for EGTC staff members are governed by private law, Member States will also take into account relevant EU law, such as Regulation (EC) No 593/2008 of the EP and the Council of 17 June 2008 on the law applicable to contractual obligations (Rome I), as well as the related legal practice of the other Member States represented in the EGTC. The European Parliament, the Council and the Commission further understand that where employment contracts for EGTC staff members are governed by public law, national public law rules will be those of the Member State where the respective EGTC organ is located. However, national public law rules of the Member State where the EGTC is registered may apply as regards EGTC staff members already subject to these rules prior to becoming an EGTC staff member. The European Parliament, the Council and the Commission take note of the valuable work carried out by the Committee of the Regions in the framework of the EGTC Platform overseen by it and encourage the Committee of the Regions to further track the activities of existing EGTCs and those in the process of being set up, organise an exchange of best practice and identify common issues.